There’s an invigorating euphoria emanating off Casii Stephan’s “GhostShips.” Embittered but unrelenting, she busts out of the gate in an incredibly powerful display of determination, unwilling to let setbacks keep her from her dreams. Atwood Magazine is proud to be premiering “GhostShips,” the highly-anticipated brand new single from Tulsa’s Casii Stephan. Recently named “one of nine Oklahoma musicians to watch in 2017” by Tulsa World Magazine, singer/songwriter Casii Stephan ascends to center stage with an incredibly dynamic performance that captures an intimate moment of raw, untethered emotion. Inspiration comes when we least expect it. And yet, it is often in those moments of intensity that we shed the facade and revel in our core. 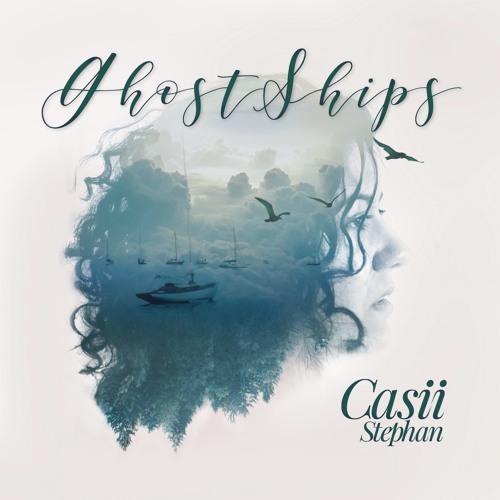 “GhostShips” exudes that base vulnerability through Stephan’s powerhouse vocal performance. She sings of warm wishes, desires and unfulfilled dreams, adding layers of tension until she explodes in an overwhelming chorus of self-reflection: “We’re just ghostships underneath,” she sings, her mesmerizing voice taking us on this very personal journey of self-discovery. Easy comparisons can be made to the likes of Florence Welch and Carole King, but Casii Stephan is her own unique personality, bubbling with a resilience and drive that is sure to take her places. Don’t miss this 2017 Artist to Watch, and stay tuned for more from Casii Stephan as the year rolls on. Meanwhile, enjoy “GhostShips” exclusively on Atwood Magazine: This is one anthem you’ll be shouting at the top of your lungs.